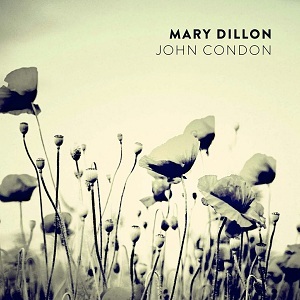 "North" is the debut solo album from Irish folk singer Mary Dillon. During the 1990s she was a member of Irish band Deanta, but after more than a decade away from the music scene she's back as a solo artist. Mary comes from a musical family - her grandmothers were both traditional singers, and her sister Cara is also a well know traditional Irish singer. The album contains a mix of traditional songs and new songs, with all the songs linked to the North of Ireland. The production is nice and simple - stripped down to the acoustic guitar and the vocal, and this really focusses attention onto two things - Mary's voice, but more importantly the lyrics. While the whole album is excellent, my favourite song is "John Condon", which tells the story of a 14 year old boy during the first world war and which laments the number of soldiers who lie buried in cemetaries in Belgium (and other parts of Europe). Mary's voice suits the haunting sorrowful nature of the song perfectly. This is a beautiful album - some great songs performed superbly well, and the result is an album that you can listen to again and again and not get bored of. Any lover of Irish folk music is almost certainly going to love this album - well worth buying. "North" will be released on 4th February 2013 on Back Lane Records.